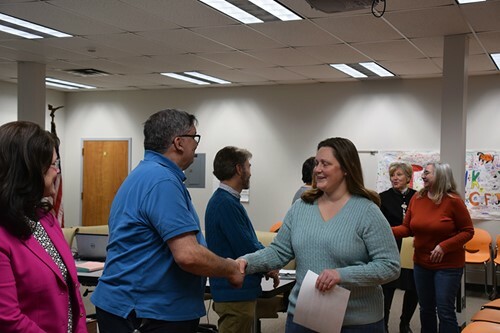 At its regular meeting, the BOE recognized our parent-teacher organizations at each building. Building administrators talked about the important work parents in our buildings do at part of parent-teacher organizations. Their dedication and contributions to the children of our schools truly make a difference and help tremendously in adding to the educational and fun opportunities our students have. Thank you to all of the groups who volunteer countless hours for the children and staff at each building.